Media hype around GDPR (General Data Protection Regulation) has produced considerably more heat than light. GDPR is the European Union’s replacement for things like the UK’s Data Protection Act (1998). The new regulations come into effect 25th May 2018. All companies wishing to trade with the EU must be GDPR compliant. The UK will adopt GDPR regardless of its decision to leave the EU. 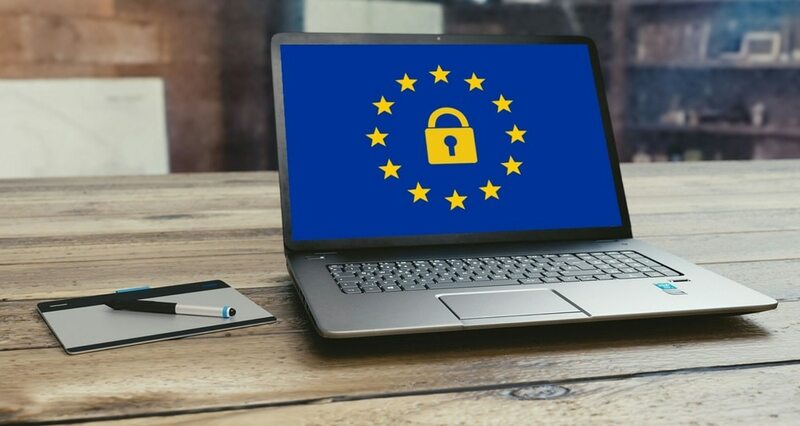 The main driver behind GDPR is that current data protection legislation is no longer fit for purpose, having been written into law decades ago when digital technology was in its infancy. Regardless of all the media and marketing hype, the truth is that we just don’t know what the full implications of the new data protection legislation will be. Certainly, it is true that there are substantial penalties for non-compliance, but we still don’t know how different European states or the UK will actually interpret various elements of the new regulations. Surely, no one will benefit from Draconian penalties and excessive red tape that stifles business activity and innovation. In reality, GDPR isn’t that much different from current data protection legislation. It’s simply being brought up to date. The main personal data protection principles remain the same. Some of the new rights for individuals include the “right to be forgotten” and data portability (the right of individuals to obtain and reuse their personal data for their own purposes across different services). There will be new provisions to increase the protection of children’s data such as parental consent for under sixteens wanting to sign-up for online services and a stronger “right to be forgotten”. Under the new regulations, you must also be able to demonstrate compliance. That means clear processes, procedures and metadata management. The new legislation further distinguishes between general personal data (contact details) and sensitive data (medical records, religious beliefs and unique biometric identifiers, for example). Naturally, the regulations require you keep personal data securely. However, the directive is not specific or prescriptive about how you secure the data you hold. Data controllers must report personal data breaches to their supervisory authority and, in some cases, the affected individuals. This must be done within 72 hours where feasible. The Information Commissioner’s Office (ICO) provides plenty of information on what steps you can take now to prepare for GDPR compliance. Visit the ICO’s website for their handy 12-step checklist. Today, all organisations should consider themselves targets of cybercrime. No one is immune. The new regulations build on what is required by existing data protection legislation. Firstly, you should take appropriate organisational and technical measures to protect your systems and the data that resides on them. Although not a mandatory obligation, it is recommended that personal data is always encrypted. Your IT systems should be secure, resilient and backed up. In the event of a physical or technical incident, you should be able to recover all personal data records in a timely manner. You should also have a process in place to regularly check the effectiveness of your data security. As well as meeting new obligations on data breach reporting, organisations must keep their own internal records of all data breaches and similar incidents. All scaremongering aside, the truth is that having an IT security strategy in place will help mitigate the risks from cybercrime while helping you meet many of your data protection obligations. Firstly, the majority of data breaches are caused by human error, not technical failings. It is important that everyone across your organisation is aware of cybersecurity threats, and assumes their share of the responsibility to keep your corporate data safe. Your staff should be properly educated about risk mitigation through good practices and procedures. Next, you’ll want to determine the current state of your cybersecurity and define where you need it to be. This process can be broken down into policy, employee and technical assessments. You will probably find a mix of easily fixed vulnerabilities and those that will require a more planned, long-term response. Naturally, any business critical operations assessed as vulnerable should take priority in your remediation plan. Running a cybersecurity audit gives you a snapshot of your strengths and vulnerabilities. However, once you’ve conducted the remedial work necessary to close any identified gaps, you still have work to do. The cybersecurity landscape is constantly changing and new threats are emerging all the time. Subsequently, you will need to establish a regime of constant monitoring. According to the National Cyber Security Centre (NCSC), “Good monitoring is essential in order to effectively respond to attacks. In addition, monitoring allows you to ensure that systems are being used appropriately in accordance with organisational policies. Monitoring is often a key capability needed to comply with legal or regulatory requirements.” The NCSC provides a 10-step checklist for cybersecurity monitoring. Unfortunately, you can take every conceivable precaution and still be the victim of cybercrime, so it will pay you to be prepared should the worst happen. It’s important you have the right skills and technical resources to quickly identify, isolate and deal with threats while minimising their impact on your business operations. Building resilience into your systems, ensuring business critical data is backed up and establishing a coherent disaster recovery plan will make a significant difference to your organisation’s survivability after a cyberattack. Currently, no one knows exactly how the UK or European states will choose to interpret or enforce GDPR. There is a wealth of free advice and guidance available from the UK government and its various agencies to help you comply with the new regulations. Certainly, it makes good business sense to take every precaution to safeguard your corporate data from accidental or malicious breaches, and have contingency plans in place should an incident happen. The UK government has a Cyber Essentials scheme that you can refer to in order to help address important cybersecurity concerns. You can use this as the foundation stage of your cybersecurity strategy before looking at the finer details. Once completed you can then self-certify for Cyber Essentials. Download a copy of this article to read later or share with friends and colleagues.